Zero-based budgeting sounds like one of those ideas novice entrepreneurs introduce into a conversation when they want to impress captains of industry and angel investors. But the concept needn’t frighten you away or send you scrambling to use it at every networking event. Instead, understand that it’s a rudimentary approach to business management that companies are utilizing on every scale, from micro businesses to multinational corporations, and it too can help your enterprise grow with sustainability. 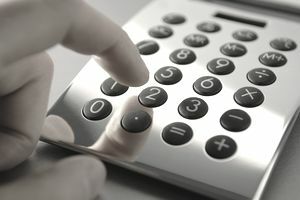 Starting from a “zero base” (i.e., with no balances or expenses carried over), each period in a company’s calendar is budgeted entirely in relation to the needs and costs for that period. Whether a month, a quarter or annually, a period can be any measurement of time that works best for your business. At the start of a new period, the financial requirements and justified expenses are the primary inputs for the company’s budget, regardless of whether the budget was higher or lower the previous period. When the next period begins, you return to the zero base and repeat the process. Traditional budgeting, or cost-based budgeting, involves managing a company’s operations based on the budget from previous periods. For example, if a company anticipates a 5 percent increase in production thanks to landing a new client, they simply add 5 percent to the budget from the period before. Cost-based budgeting assumes that all previous expenses for production and operations are necessary, and moves forward with maintaining the budget for those functions without further analysis. In zero-based budgeting, every expense must be justified each period, so recurring expenses are reviewed, then approved, adjusted or discontinued based on necessity. And new expenses are analyzed with the same attention as in traditional budgeting, but always with the understanding that costs should be optimized for efficiency and value. For instance, if you’re a solopreneur who runs a creative paper goods company out of your home, you might decide to implement a zero-based budget to improve efficiency after you decided to take your enterprise international and ship overseas. One area this may affect is your printing costs. After a comprehensive review, you realized that you could offset the added shipping fees and shorten the turnaround time by purchasing two new printers and taking advantage of bulk purchasing for printer ink thanks to a new partnership with a local supplier. Each period, you would review all or your expenses to determine if the cost is justified in your budget with a valuable return on your investment. Identify your goal. Do you hope to increase revenue by 10 percent? Do you want to cut costs by 2 percent? Your goal needs to be measurable and attainable within the time frame you’ve selected. Consider how you can accomplish this goal. What do you have in your arsenal that can be used to adjust costs, efficiency or resources to reach your objective? Review your options from step 2. Would implementing one task help you achieve your goal? Or do you need to implement several courses of action? And if so, do you roll them out individually over time or all at once? Prioritize your new task(s) and document the necessary costs for implementation. Evaluate all the costs and expenses necessary for that upcoming period in every aspect of your business (or the department you plan to adapt to meet your goal). Include the necessary costs for the new task(s) you documented in step 4. If the evaluation meets your approval and all expenses are justified, engage in implementation and follow your budget. At the end of the period, examine your measurements and determine if you have met your goal. Did the implementation go smoothly? If mistakes were made, do you want to adjust and move forward with the process in the next period? Or discontinue the task(s) altogether? Start over at step 1 at the beginning of a new period. Because of its detailed structure, zero-based budgeting allows business owners to incorporate new strategies over a period of time without the fear of losing sustainability. Often set up on a rolling basis, the process offers business owners the opportunity to deep-dive into their implementation plans and avoid carte blanche budget increases that may not show a return on investment for long periods of time. Another plus to this business management method is it can effectively lower costs for daily operations. Resources are allocated only when they are needed, reducing waste and redundancy while also increasing communication between departments that require better coordination to stay on budget. It’s true the method can lead to lower operating costs for large businesses, but this often means that non-revenue producing departments can get short-changed or underfunded. Where some areas of your budget such as production or sales will justify their expenses easily, other necessary functionalities like customer service or research and development may have a more difficult time justifying their expenses beyond the bare minimum. Another disadvantage of zero-based budgeting is it can be time-consuming compared to cost-based budgeting or activity-based budgeting. This is especially true for larger companies, but it also rings true for small business owners. Going through every line item every period justifying its necessity can be labor-intensive and an inefficient use of your time. Regardless of your company’s size, zero-based budgeting requires you to take a closer look at what drives value in your process. Although time-consuming, it’s a method, when utilized correctly, that can lead to greater sustainability and balanced growth. Ultimately, every entrepreneur who elects to use zero-based budgeting for their operations will certainly learn the importance of investing time and resources to guide their business’s efficiency and value.